Get these files in an RSS Feed by clicking here: http://feeds.feedburner.com/Shindiggery or add them to your podcast app with that address! 31 Iain Lee Presents Shindiggery. It's back and shorter than ever! Shindiggery makes its triumphant return to the internet with even less material than before. 32 Iain Lee Presents Shindiggery. OK, so I'm struggling with the levels here. I'll admit it. 34 Iain Lee Presents Shindiggery. 35 Iain Lee Presents Shindiggery. 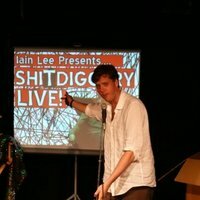 36 Iain Lee Presents Shindiggery.